Free Code & Cost Analysis! According to former Department of Health and Human Services Secretary, Tommy Thompson, 93% of healthcare dollars is spent on sickness and disease, while only 7% is spent on maintaining health and wellness. It is a failing healthcare system! With decreased insurance reimbursements, overhead continuing to grow, and excessive increases in malpractice premiums, your options to expand locations, add new associates, create ancillary income, work longer hours, sell your practice for a retirement nest egg, investments, inheritance, or win the lottery, are not exactly optimal! Where do you want to be in 5, 10, 20 years and how can you get there? This nutraceuticals business system is proven to help promote the health of your patients while ensuring your own financial success and supporting your professional education. Complete line of advanced and dependable nutraceuticals- exclusive label for Health Professionals and isotonic capable. 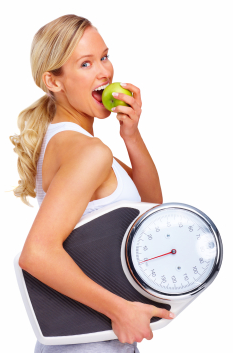 Comprehensive low glycemic index weight management system- a lifestyle weight management program that emphasizes behavior modification, fat loss, and exercise. Genetic screening for recommending a tailored nutritional regimen and lifestyle or behavior changes, cutting edge custom nutrition for the 21st century! Accredited education for health professionals (CEUs and CMEs); courses taught by qualified health practitioners and offered several times a year for convenience. An experienced Nutraceutical Consultant to facilitate the integration process, freeing your staff for billable office services and at NO cost to you. E-commerce - a practice-specific customized web portal for patient information and convenient on-line patient reorders, creating a lifetime patient value. Unprecedented cash revenue from both retail profits and a commission/bonus plan from your existing referral network. This elite business development system provides the health professional's clients with a suite of services that will help track and manage all of their health and lifestyle information in one easy-to-use, collaborative online community, an online medical concierge where patients can get instant access to doctors, health coaches and the best products 24/7. It is a vibrant online medical community that encourages interaction and dialogue between members, from patients to medical professionals to individuals, looking to lead a healthier lifestyle. And yes, it is also a place to securely store your electronic medical records. Patient-Managed Health Profiles: a customizable desktop of the patient profile page that includes calendars for appointments, updates from members, blog posts relevant to issues of concern and much more. Electronic Medical Records (EMR) Storage: Keeping track of electronic medical records is made simple, from labs to diagnostics to consultations. Everything in one place, so the patient or physician can find it readily when needed. Health Tracker: Keep updated records of your vital statistics to view trends that can help you to better understand your body. Online Marketplace: Access hundreds of high-quality health products, a complete line of high quality, advanced and dependable nutraceuticals.